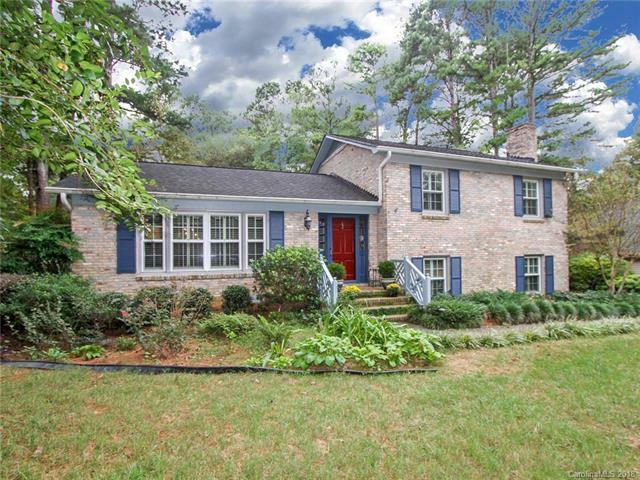 Charming full brick home located in highly desirable Swan Meadows on a 1/2 acre lot! You will enjoy relaxing or entertaining on the expansive sunroom leading to the upper and lower deck and brick patio. The yard has been lovingly maintained with mature landscaping and perennials planted throughout the yard. Foyer leads to formal living room and formal dining room. Eat-in kitchen with stainless steel appliances, gas stove, double oven. Large family room with brick fireplace and built in book cases, plantation shutters throughout. Guest bedroom on lower level. Great location! Close to I-77, shopping, restaurants, and walking distance to Ebinport Elementary School. Welcome Home!